Inika are an organic makeup brand offering a wide range of products. I was lucky enough to receive an eye liner of theirs in the #Bbloggersxmas goody bag in black caviar, which is definitely my shade! 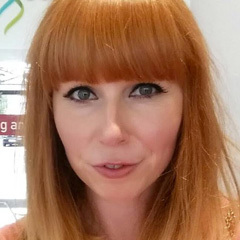 As a bit of an eye liner addict, I've tested lots of liners over the years and have often found pencil liners to be a bit hit and miss. They can be too hard, drag on your eyes and don't seem to last very long. forgive the stubby end, I've been using this for a few days! 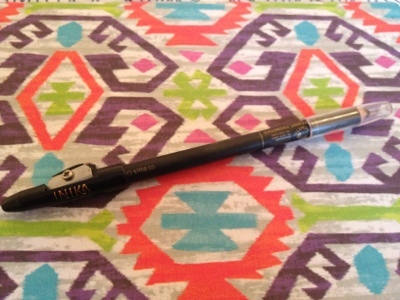 This one is actually everything I want a pencil liner to be. It goes on easily with no dragging, has it's own pencil sharpener attached, and most importantly lasts over 8 hours on my waterline. It also smudges nicely if you want to create a smoky eye. Why doesn't every liner have one of these? I've been so impressed with this liner, I'm considering buying more from their range (there are 8 shades). They retail for £13.50, which isn't cheap, but I think that one pencil will last a very long time, even with an eye liner addict like me! As far as pencils go, this one gets a firm 10 out of 10 from me. 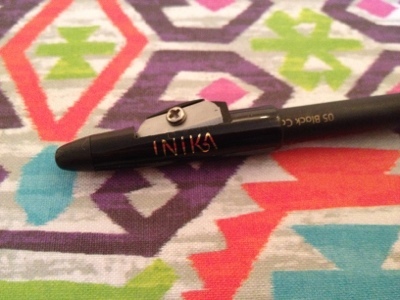 I love INIKA too, great products with lovely ingredients. I am a huge fan, I like this liner but I prefer it in other colours to be honest. 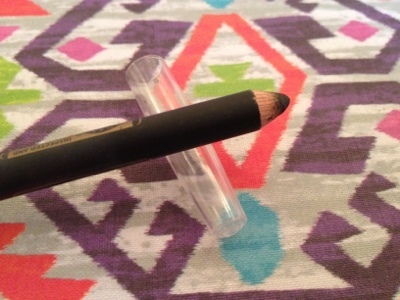 Love a good eye pencil, so I need to try this!